Should You Pay Extra for Using Card While Purchasing? We all have gone through the trauma where we are forced by the merchant to pay extra if we are using the card for transaction for purchase of their goods. This charge can be as high as 2%. 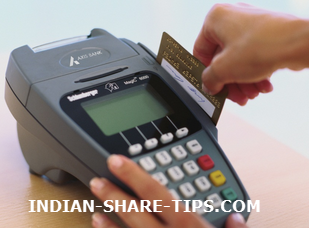 As per point 4 of the RBI notification dated September 25th, 2013, it is unjustifiable on the merchant’s part to charge customers for buying goods and services as it is not permissible as per the agreement between the merchant and the bank which issued the POS (Point of sale) terminal or card swipe machine to the merchant. Such practices call for the banks to terminate their relationship with such merchants. This 2% rule, however, is relaxed for railway tickets and at some petrol pumps, says G V Giddappa, general secretary at Credit Card Holders' Association. In case a petrol pump has a tieup with a card, the amount is charged back into the card, a banker adds. While speaking to a banker, they confirmed that if matter is reported to them; they may then blacklist the outlets and remove their terminals and suggests reporting matter to a consumer forum. So, this is an easy way to save money provided you know the exact procedure and then you can confront them with an authority that extra charges should not be applied to a client for using the card. Bookmark us for best share tips and make money with our sure stock tip of the day which finish by 11:30 AM.